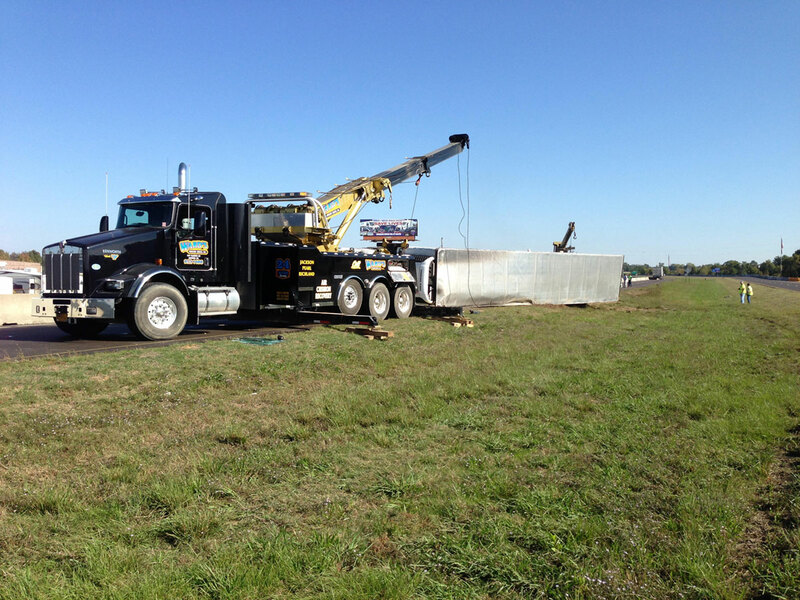 Why Wards Wrecker Service Wins at Heavy-Duty Hauling - Ward's Wrecker Service, Inc. Your truck embodies so much more than the thing to get you from point A to B – it’s one of the most substantial investments you’ll make within your lifetime. So, it’s only natural you should treat any decision regarding its treatment or handling with the utmost care and highest level of consideration. Fortunately, Wards Wrecker Service measures up on all counts; we blend carefully crafted expertise with an unmatched level of professionalism and punctuality, providing you with the quickest response time for towing in all of Jackson, Mississippi. To help you understand just how capable we are of handling your heavy-duty trucks, we’ve compiled a list of qualities we believe every towing company should adhere to when servicing your vehicle. There’s no question about it. Every tow company is only as good as its fleet – and we bring the right amount of brawns and brains to the table. Our wreckers can support significant weights with ease, affording your vehicle the best in safety measures and secure transportation modes. We operate on both an individual and commercial basis – never downplaying the importance of fast and efficient service. If you run a business entirely dependent on pick-ups and deliveries, then you don’t want to gamble your schedule on an amateur towing company, which brings us to our next point. We wouldn’t get very far on our state-of-the-art trucks without the right drivers, so we go out of our way to ensure all of ours are trained and up for the job. Over the years, we’ve amassed almost half a century’s worth of experience, fine-tuning, and progression. We learned case by case and improved accordingly, updating our trucks at every opportunity and imparting accumulated knowledge onto every new driver that joins our team. At any given point of the day, you’re pretty much guaranteed to reach a friendly operator, should you dial our line. Our staff understands the frustration behind most transportation or roadside issues, so we do our best to accommodate your every need. We try to keep you comfortable and completely reassured throughout the entire process, always open for answering questions or addressing potential concerns. What’s the Lowdown on Lowboy Lugging?